Where to Stay: The Port Lincoln Hotel was perfect. Two restaurants that had exactly what you would expect…a solid burger, some salad options…I was very pleased with my meals. The rooms were comfortable and the service was perfect. The hotel is within walking distance of the town (the town is very small) so for our second night, we had dinner and drinks at the Pier Hotel (about a 200 yards from where we stayed). There was live music too, which made for a fun and light atmosphere. The sole reason my friends and I went to Port Lincoln was to go shark cage diving. We used Calypso Star Charter, which was incredible. This all-day activity, but the staff was spectacular and extremely professional. We were kept well fed throughout the day (breakfast and lunch, with many snacks in between) and were given all the appropriate gear to bear the frigid water. The boat ride out to the Neptune islands (where all the sea lions live, thus were the great whites live) was about 2 and a half hours. The ride was a good time to catch up on sleep as we had to board the boat at 6:30 am! Once we were out there, we chummed the waters and waited...and waited…for three hours. Towards the end of the wait, I was almost ready to call it quits when someone on the top deck spotted our first shark! We crowded into the freezing water and waited for the shark to circle back around. It was incredible. It’s a bit expensive, however, the experience definitely costs more. 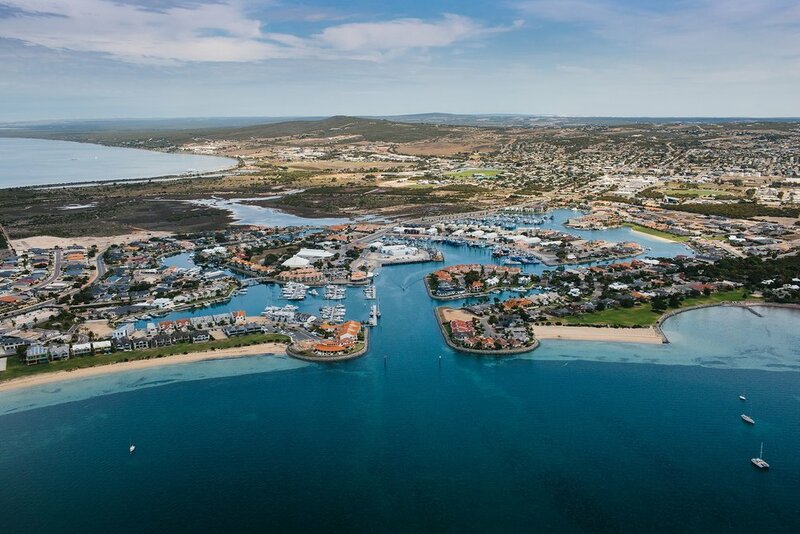 If you have another day in Port Lincoln and are looking for one more activity, call Richard, the best tour guide in the area (0408896258). He took us to see wild imu and kangaroos, on a lovely bush walk, to see beautiful rock faces, to beaches where there had been shark attacks (a bit eerie but interesting), and to the sand dunes where he brought three sand dune boards. The tour was $75 AU per person and he took us around for about four hours. Definitely worth it.